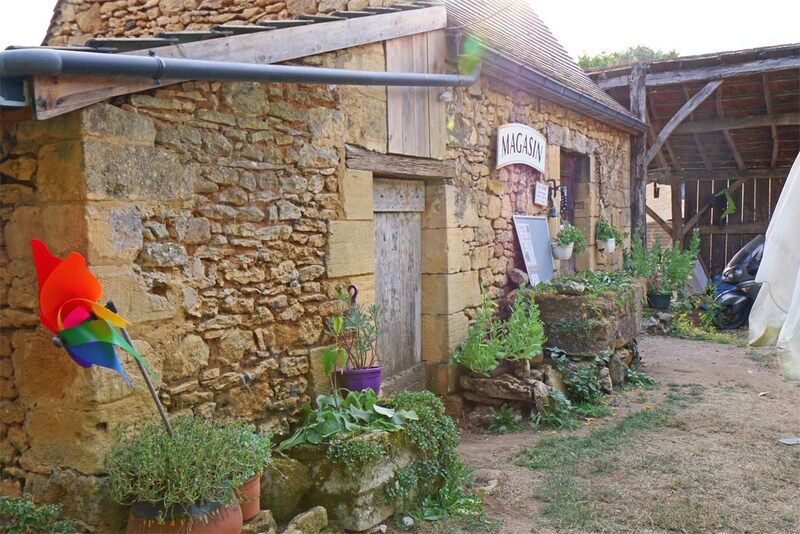 Are you a real gastronome, a fine connoisseur of the Dordogne traditional products? 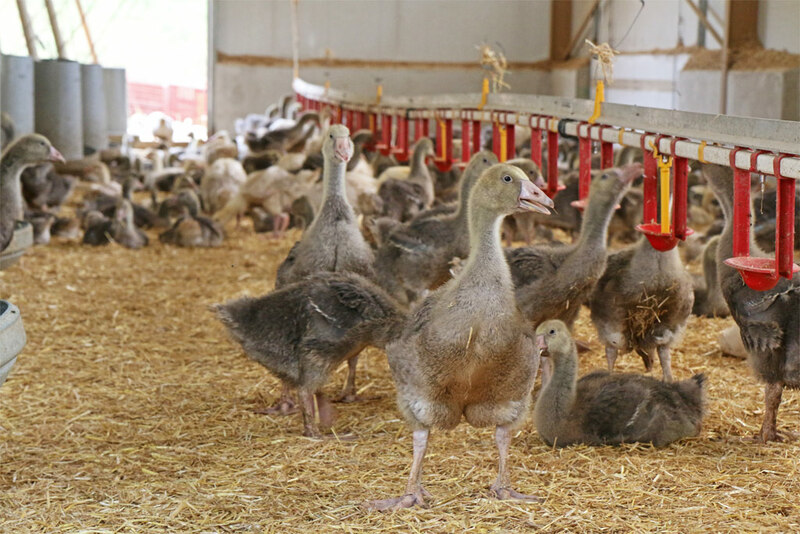 You probably know the smooth and delicate texture of goose foie-gras. 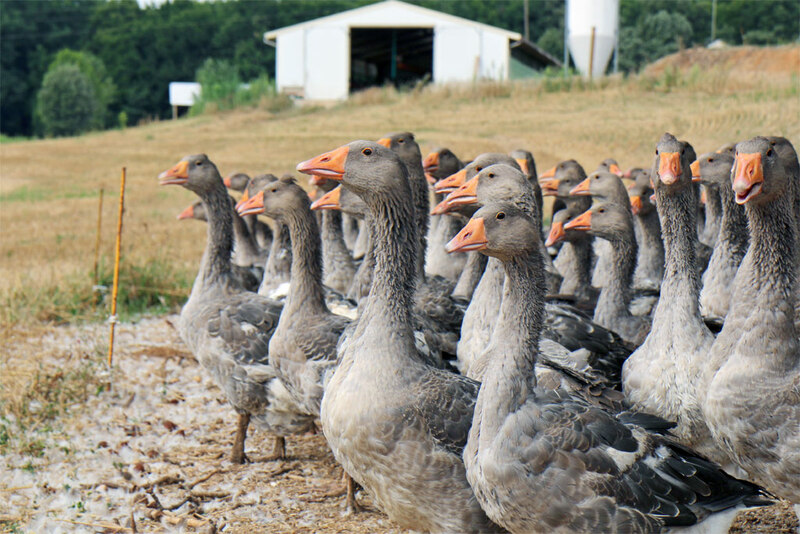 In the Epicurian Kingdom, like in the Périgordine traditional farms, the goose is an animal which has a particular place in the farmyard. 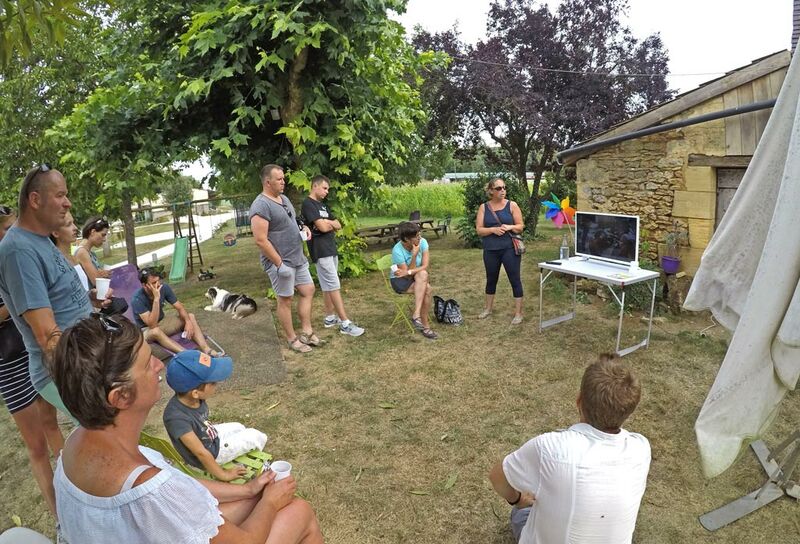 Follow me in Oies du Périgord Noir farm, in Prats-de-Carlux, with Karelle and Jean Sylvain THOMAS to share their passion for geese! 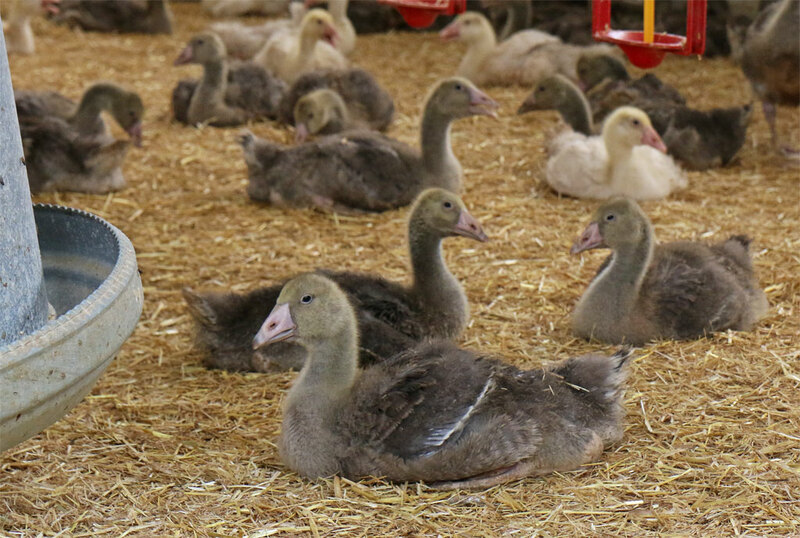 Black Périgord Geese, a goose farm to be discovered! 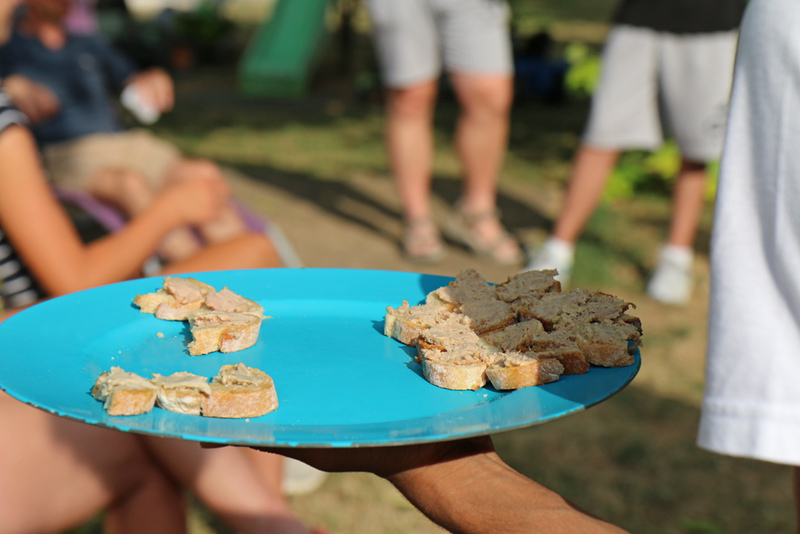 Are you curious to know more and discover all about goose foie-gras? I hope so! 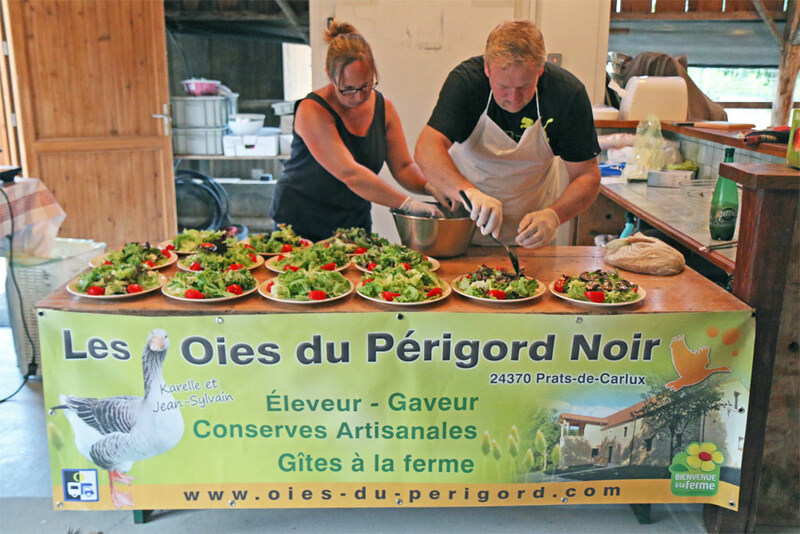 Come with me to the “Oies du Périgord Noir”, a family farm which for 4 generations (established in 1906) has been based in Prats-de-Carlux (10 minutes from Sarlat). 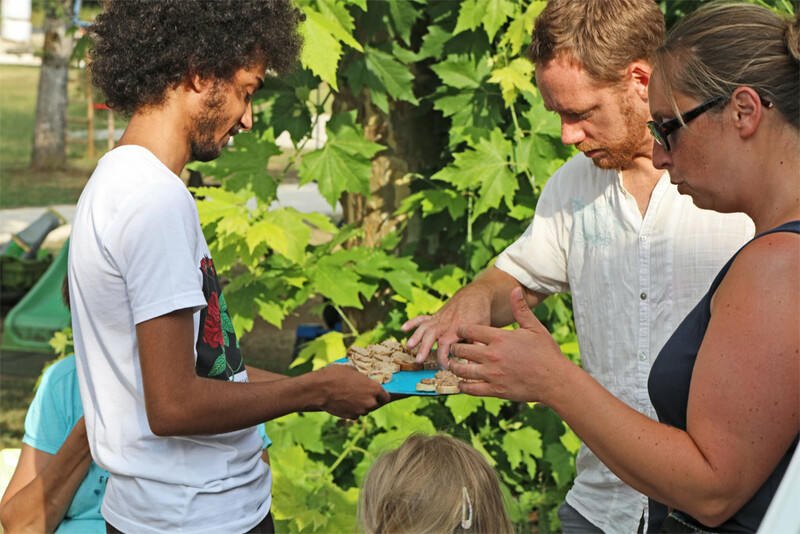 Karelle and Jean-Sylvain introduce you to their job, their passion! 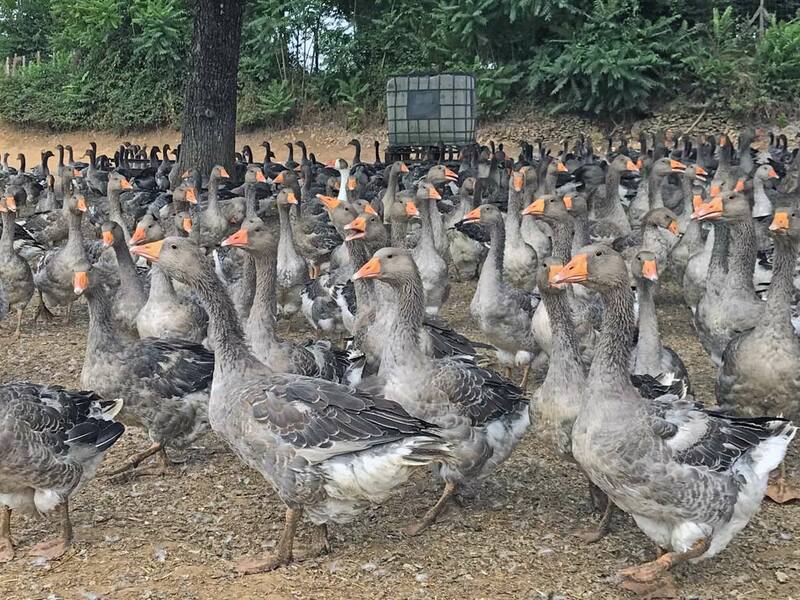 These geese are lovable and intelligent animals! 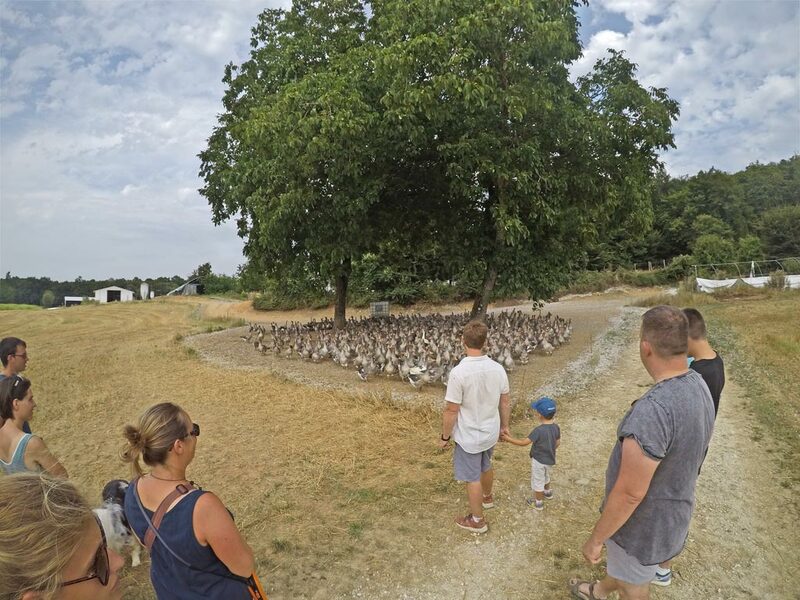 During the tour of the farm (the scheduled tours take place in summer and outside season only with prior booking) you learn all about the farm conditions and welfare of these geese, which are mostly grey geese from Toulouse. 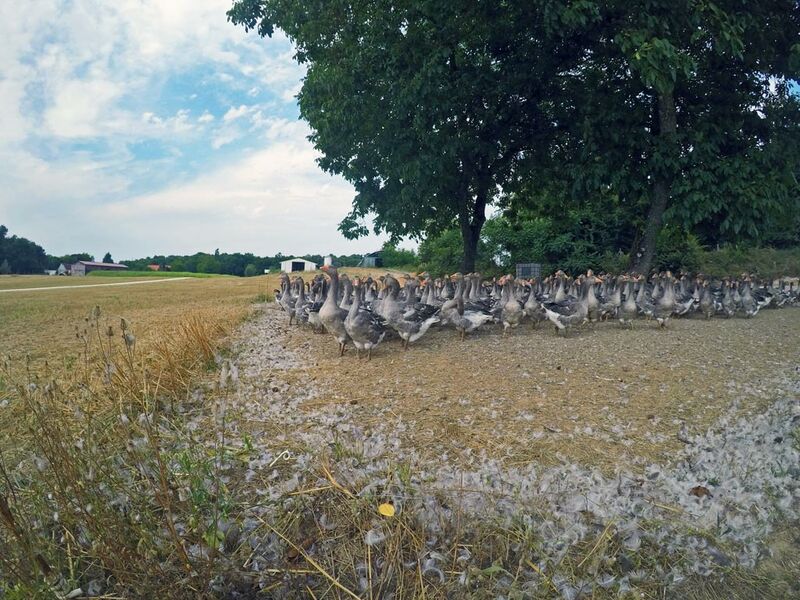 Walk along the corn fields and other cereals, here the feed of the geese is grown mostly on site! 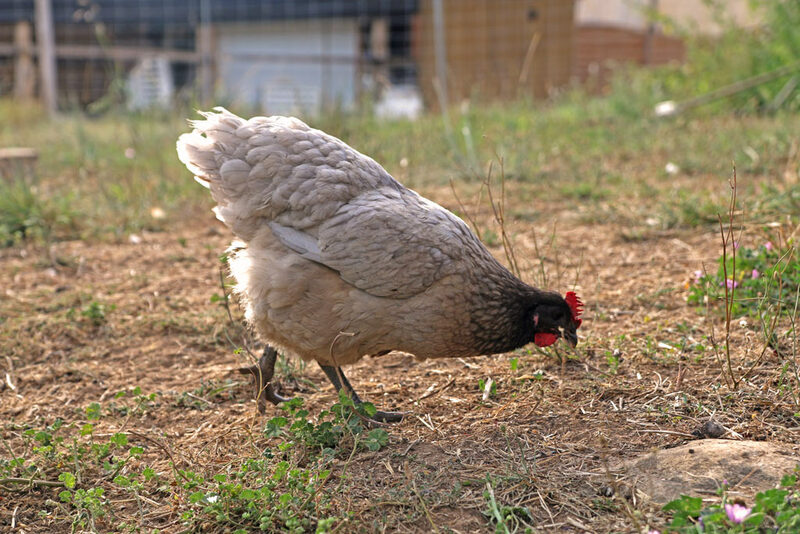 Directly from the field to the animal, a real sustainable and organic short cut. .
Look over there, in their pen. What pen? 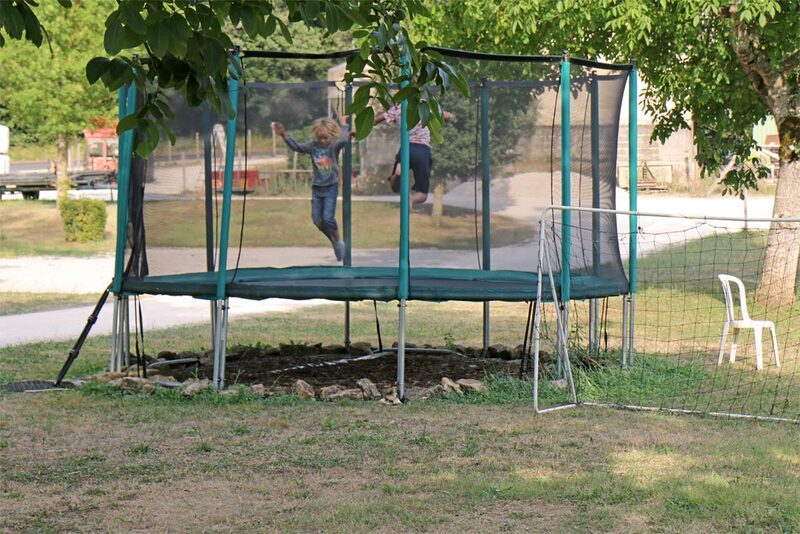 They are free, in an area simply defined by a few posts. Grouped like this, they sensibly stay in the shade of a large tree. The geese are both obedient and curious. 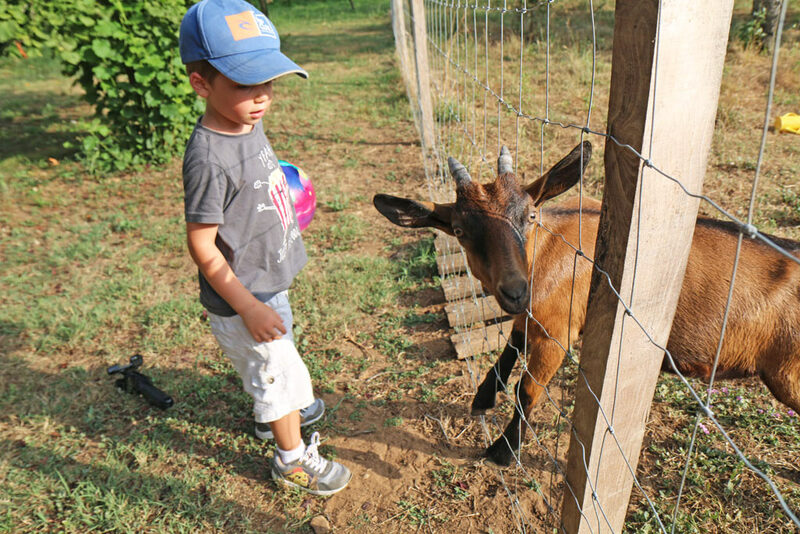 But, does a goose fly (asks Hugo, my son)? 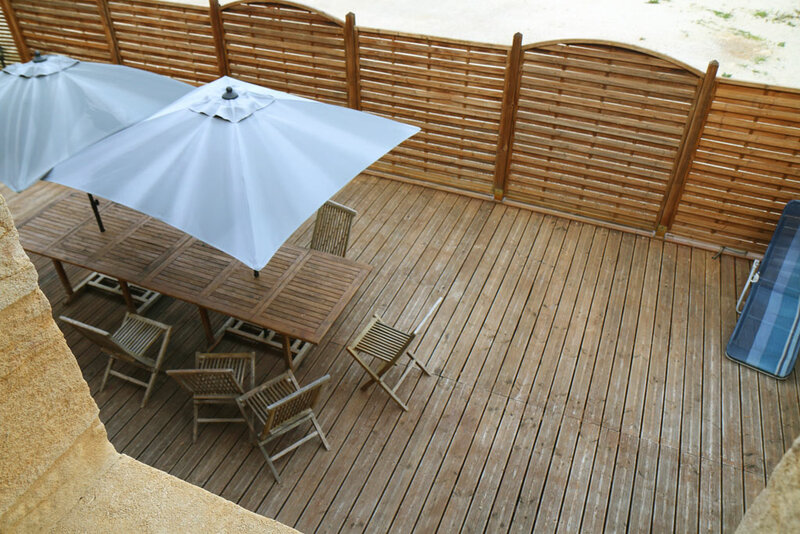 Yes of course (It is a migratory animal after all) but if content with enough food, friends and a pleasant place, they stay! 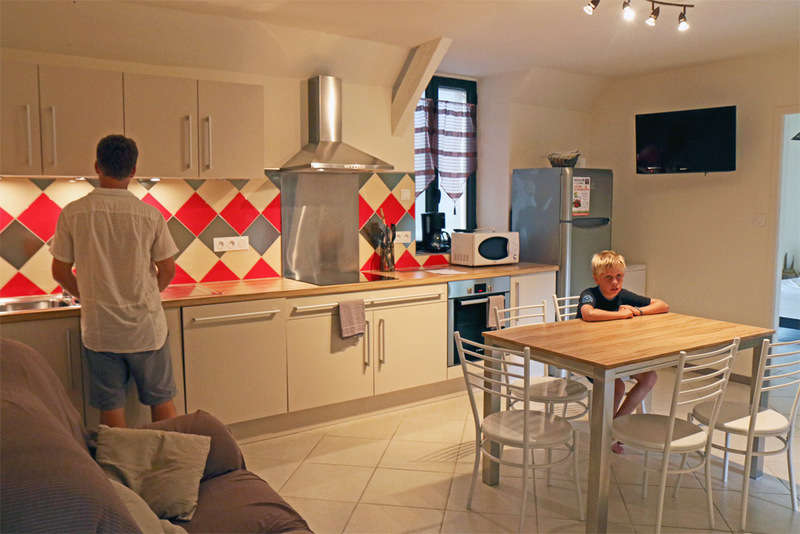 In fact, they do not know they can fly… because their parents Karelle and Jean-Sylvain do not know either and therefore could not teach them! 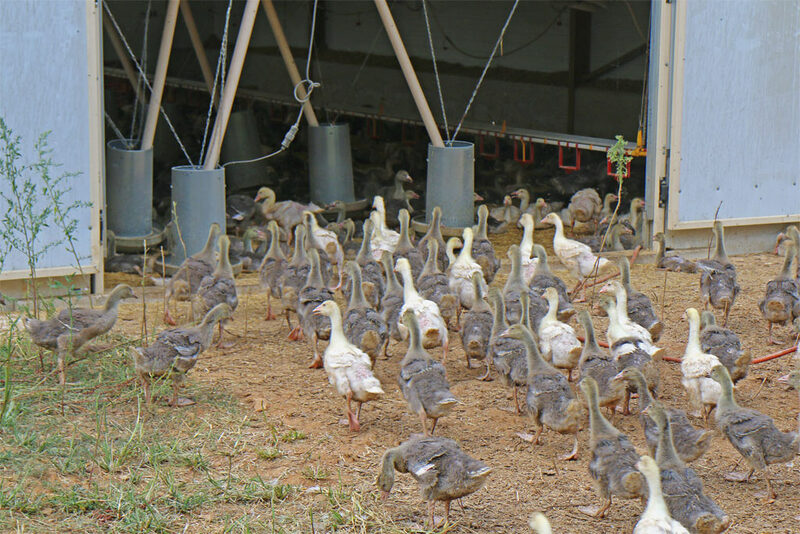 The geese know the way to their shelter for the night (they are brought in to protect them from the predators). 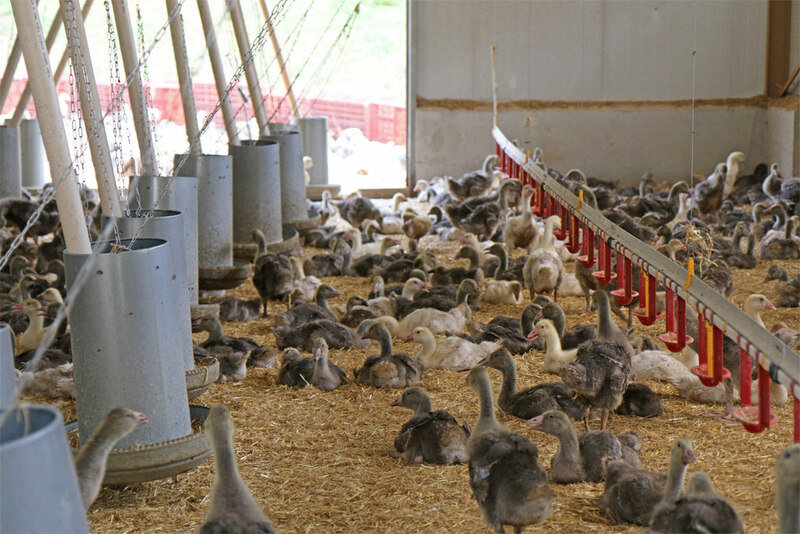 On the Oies du Périgord Noir farm, there two 2 breeding areas, the goslings (the baby geese) arrive from their hatchery and grow in a protected area, heated and fed with quality grains. 14 weeks of farming then approximately 20 days of forcefeeding later, the animals are slaughtered by a local company then part will be transformed in farm conserves. It is nice and warm here! 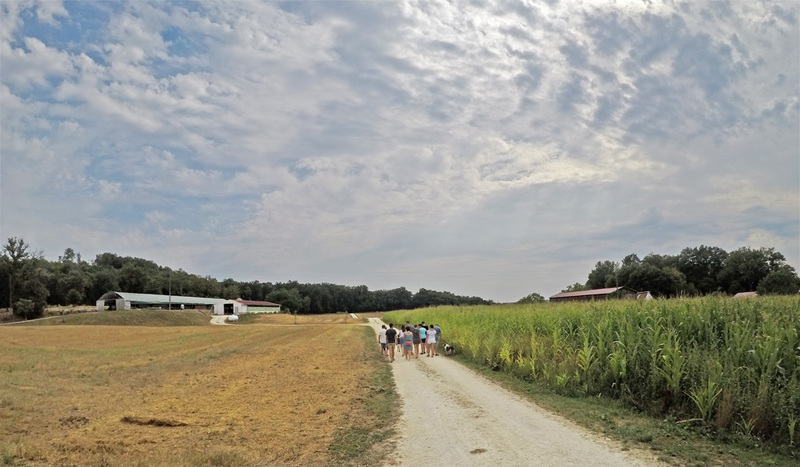 Once the farm tour is finished, you can watch a short video recap, before a tasting some of the different products sold in the shop. Rillettes, pâtés, terrines, goose magret, goose salami... 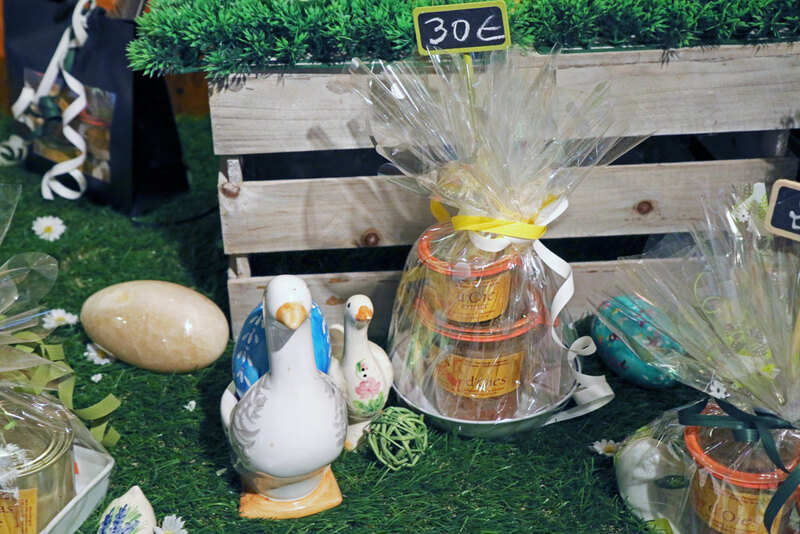 The foies-gras are part-cooked, in conserves, in jars, in blocks … There is a great choice for all tastes and for all budgets. 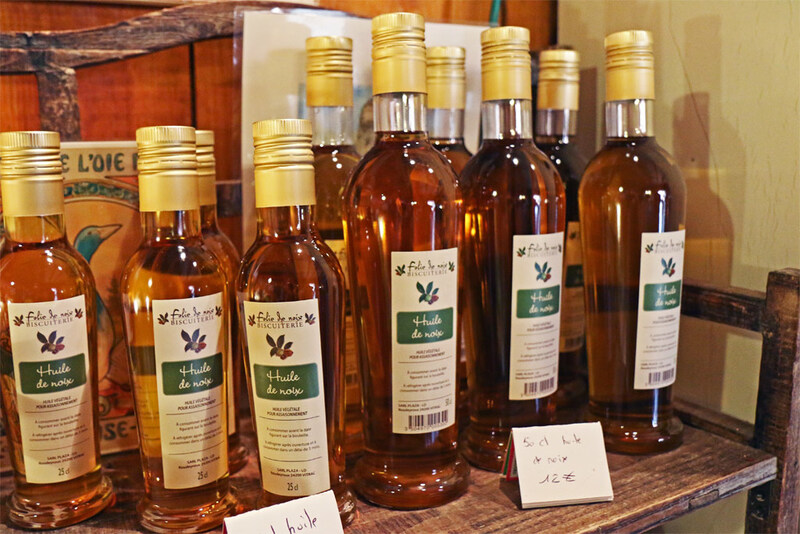 The occasion to offer a lovely gift or treat yourself with a product of great quality, 100% Périgord and locavore. 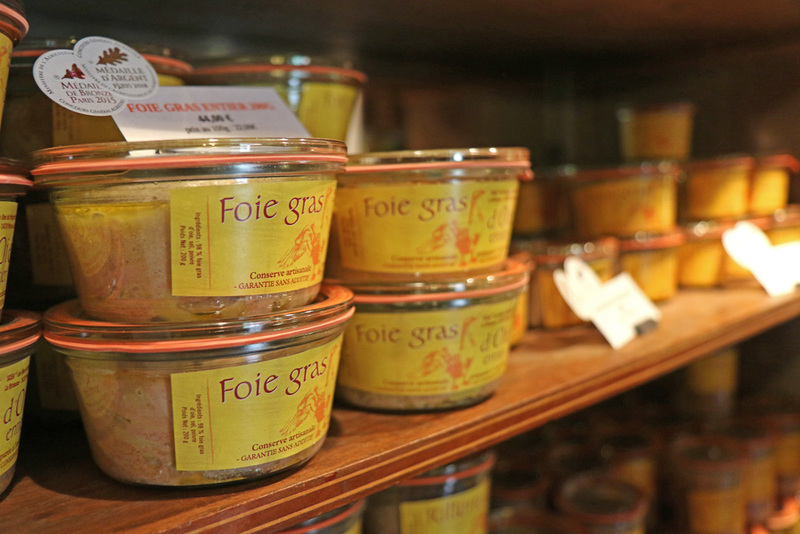 Foie-gras to bring back home! 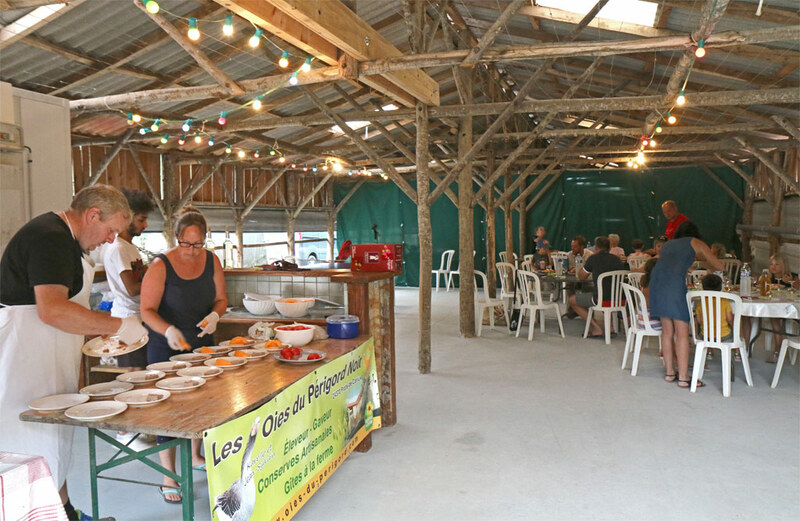 A Diner like at the Restaurant with Foie-Gras and local produce! Feeling hungry? 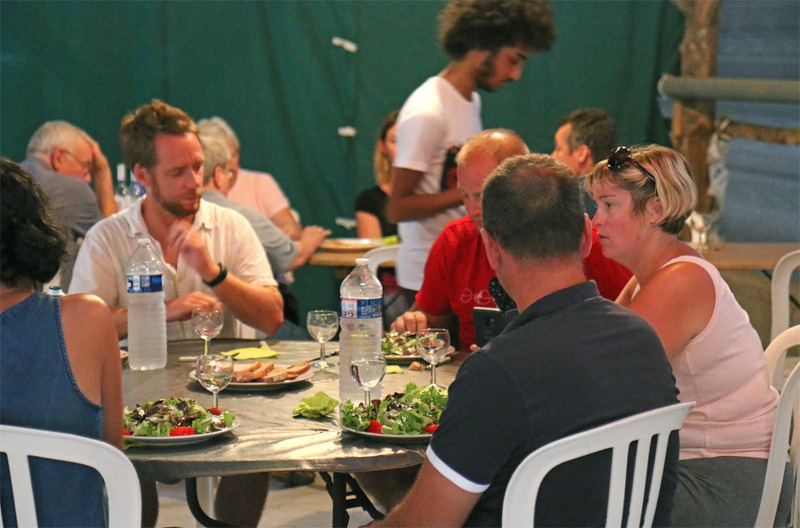 Stay for dinner at the farmers table, organised every Friday evening during summer! 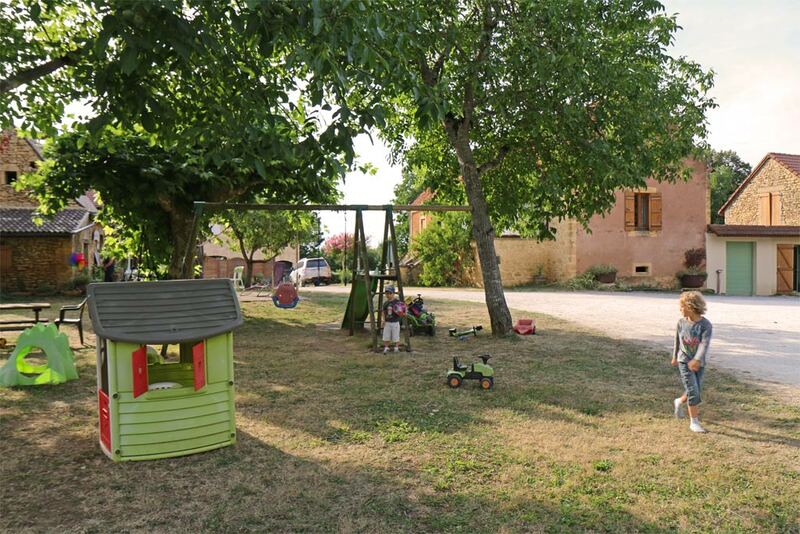 elax and take a seat in the Grand Séchoir, next to the original farm building dating from the beginning of the 20th century. 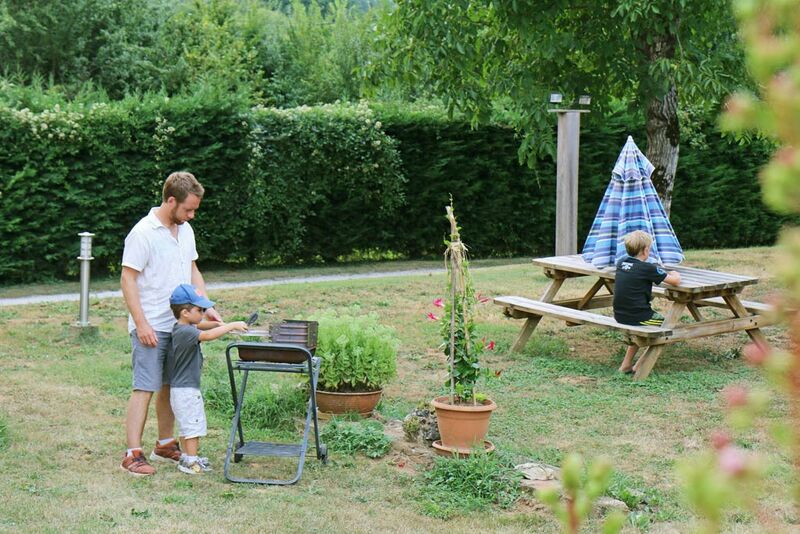 Share a moment of conviviality with the other guests on site, who are there like you, for the real Périgordine. Gastronomy. 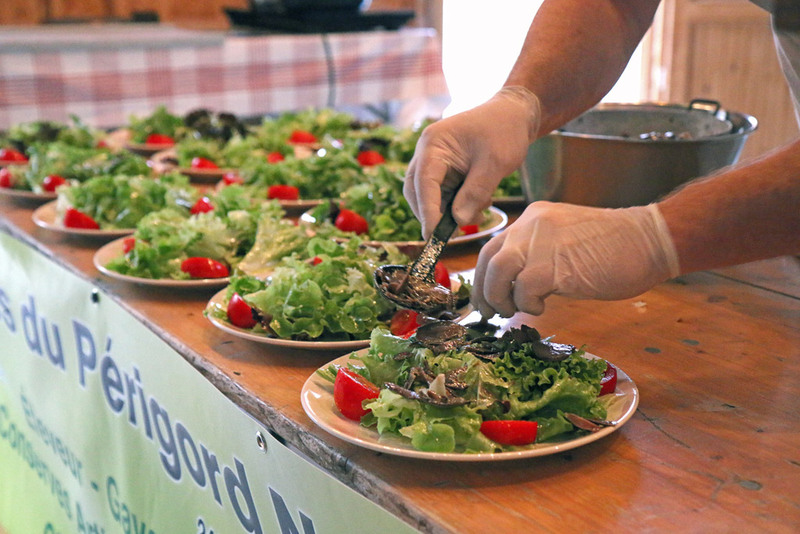 For less than 20 euros, start with a plate full from the delicacies from the shop, then carry on with a green crunchy salad generously accompanied by confits and tasty gizzards. 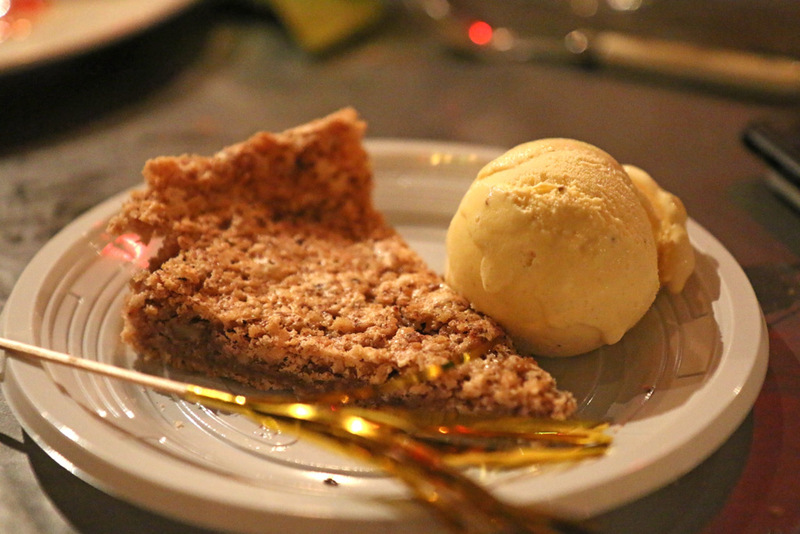 Followed by a cheese plate, before a delicious traditional dessert such as the nut cake and its scoop of ice cream. 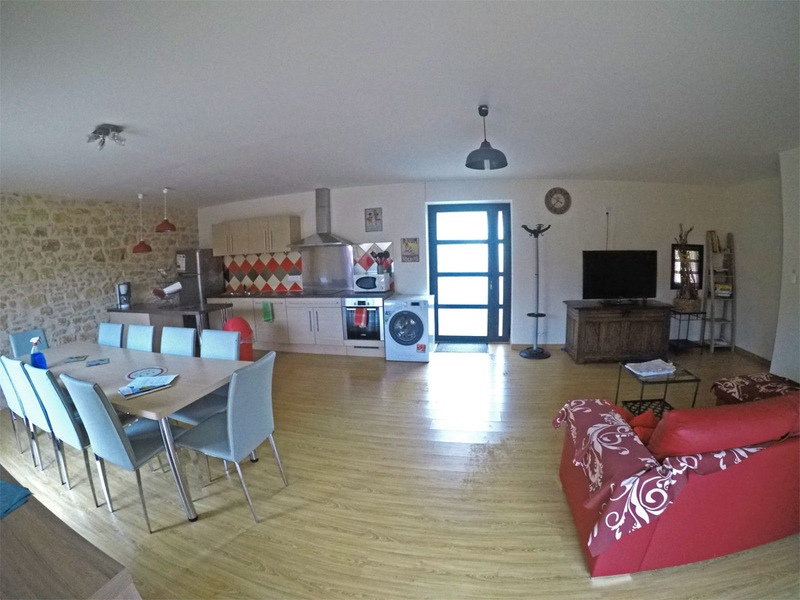 The meal is served with a very good Bergerac wine, soft and perfectly combined to the dishes you are savouring. 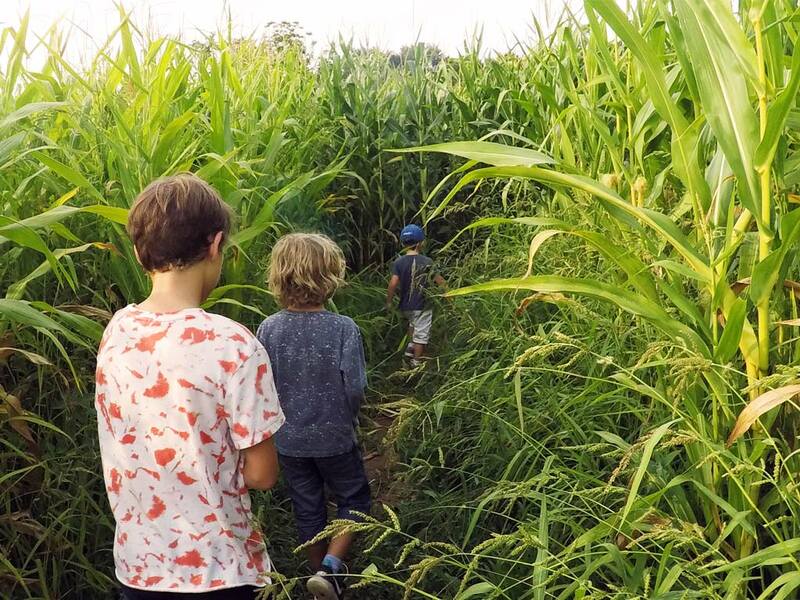 The best news of the evening, is that the children can also have a great time: Thanks to the giant playground, the trampoline, the corn maze, the farm animals (chickens, turkeys, dogs, goats), the tennis table and the small cars circuit, you will not see them from all evening! 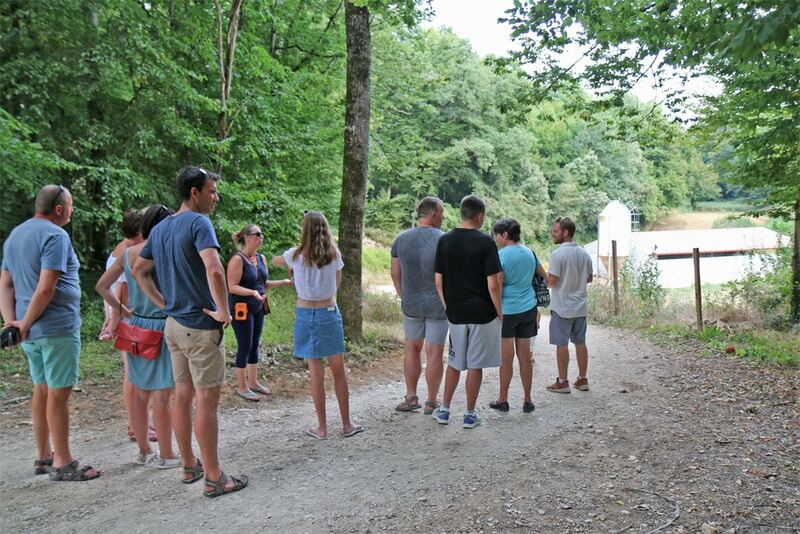 kilometres from the Vézère Valley and its tourist sites.